Bob Motion Stroller is an everyday light weight stroller, it has features like adjustable handle bar, recline able seat, strong wheels, large canopy, safety measures etc. you can use this stroller with infants toddlers. 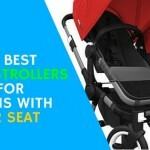 It has infant car seat adaptor included which is a great thing, you can take your baby for travelling. 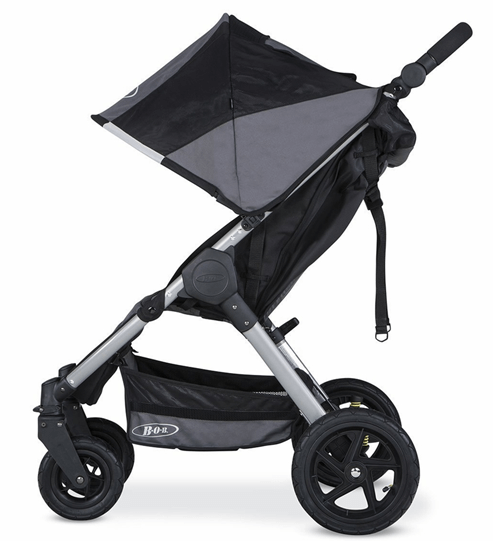 This Bob Motion Stroller has 4 semi-slick air filled tires that provide a smooth ride in tough terrains. The back wheels are 10″ and the front is 7″. Stroller is very easy to push and navigate. 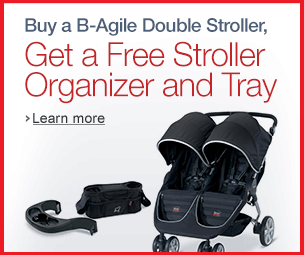 You can easily take them off if you need to make your stroller more compact. It has swivel front wheels that can be locked in place if you are going through tough terrain. 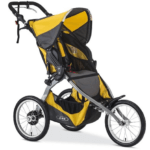 It is not an all terrain stroller but it has all terrain strong wheels so it can run easily run on some light terrain or park, city walk as well as tough uneven surface. It has a large canopy with pee-ka-boo mesh window, through which you can see your baby or it is also a way for air circulation in summer season. Because of the large size your baby will be protected every time from harsh weather. “BOB Motion Stroller” has a very comfortable seat which is nicely padded; it can recline up to a flat position including various positions. You can recline the seat with one hand by pulling on the straps in the back of the seat. But you will need both hands to bring the seat back. The seat is 14″ wide and is 23″ from the back of the seat to the canopy. 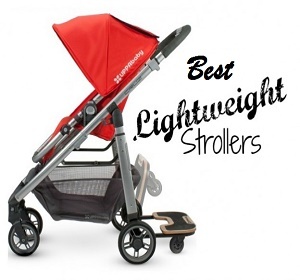 It can accommodatechild from newborn up to 76 lb. “BOB Motion Stroller” gives you infant car seat adaptor which included; you can buy a separate infant car seat & make it useful for travelling. 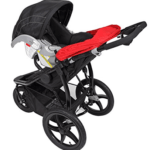 This Bob Motion Stroller has rugged suspension system that absorbs a lot of the bumps providing superior maneuverability and creating a smooth ride. 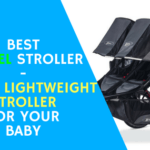 It has adjustable handle bar which is a very important point in this “BOB Motion Stroller review” It goes from 32″ all the way to 42″ from ground up to handle. As the handle bar is adjustable it is suitable for taller & shorter parents, they can adjust the bar according to their comfort. This harness is padded and adjustable. To unlock it, all you need to do is push the button in the middle and pull straps out.It will hold your baby tight & safe. It has easy to access one foot brake which is obviously a great safety features but it is not that much friendly & easy to use. The fold is very is , you can do it with one hand only all you need to do is put back the canopy, push the button on the side and pull up the handle in the middle of the seat. After fold stroller becomes very compact that you can easily keep it at any of the corner of your house. 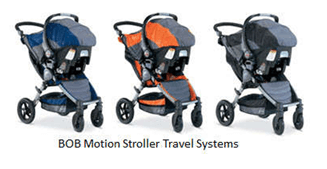 “BOB Motion Stroller” has an automatic lock & standing fold. It has one leg rest but it is not adjustable unlike other stroller which I don’t like much as adjustable leg rest provides more comfort to baby. The seat fabric is very soft & easy to wash; this Bob Motion Stroller weighs only 23 lbs because of the lightweight yet durable aluminum frame. 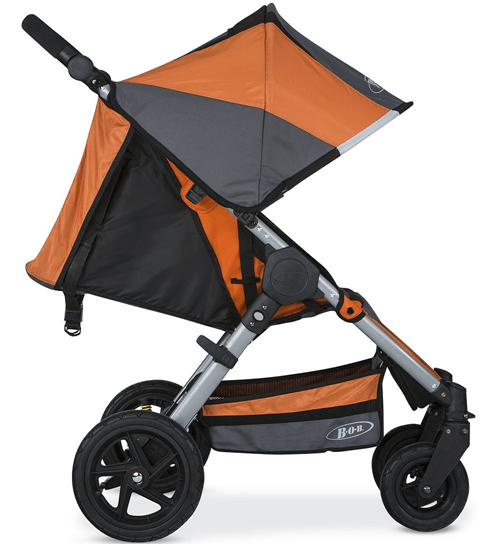 “BOB Motion Stroller” comes in three colors orange, black and navy. The storage basket is not so large but it’s a medium size basket, you can easily put your medium size diaper bags some toys or light weight stuffs. The basket is easily accessible from both the side but a bit uneasy from the back side unless the seat is fully reclined. There is also a roomy pocket on the back of the seat that you can use for all of your stuff like keys, wallet and cell phone there is no cup holders or child tray included. 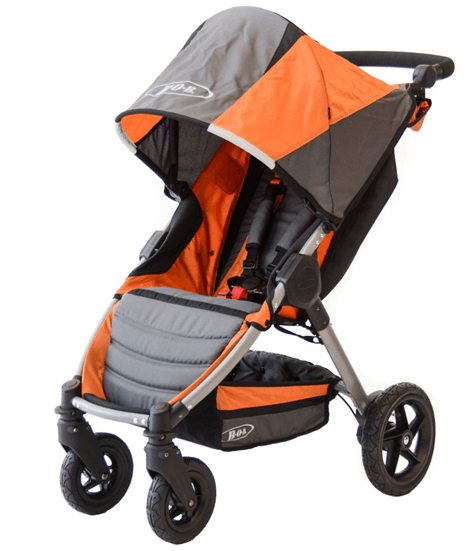 This Bob Motion Stroller has 5 year limited warranty on the frame of the stroller and 1 year on small parts and fabric. 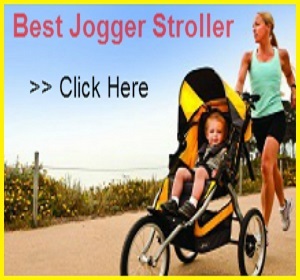 All I want to say at the end of this “BOB Motion Stroller review” is it’s a good stroller specially for those parents who like light weight stroller. Yes it do have some negative points but considering the other positive side of the features you can invest your money or you can afford to invest I would say. Have a happy ride with your baby.